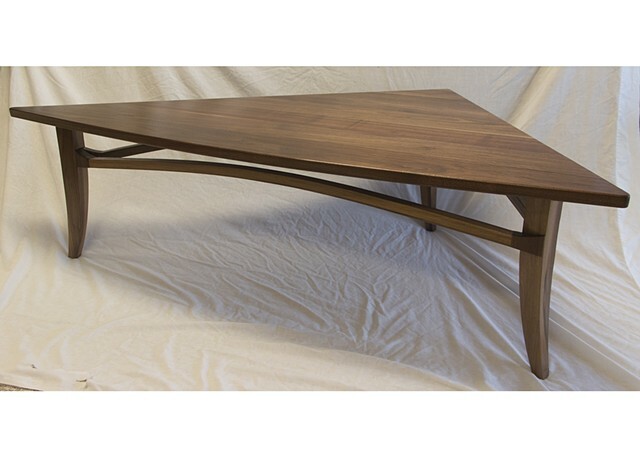 L 62" W 32" H 18"
I designed and made a pair of tables for clients: a coffee table and matching lamp table. The design features arched rails and a subtlety curved hypotenuse on the triangular tops. The coffee table is in front of two sofas set at right angles.